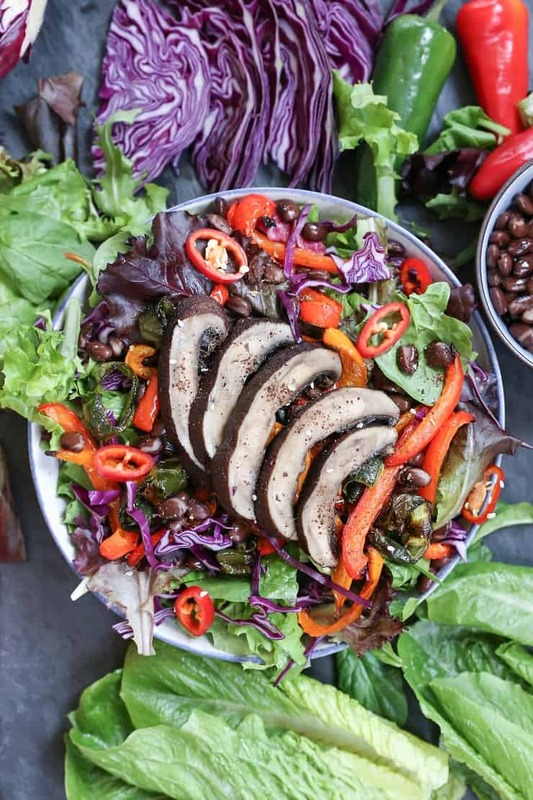 Crisp chopped salad with grilled portobello mushrooms, peppers, black beans, and cabbage dressed in a tangy Roasted Tomato with Parmesan & Basil Vinaigrette. This summer salad can be prepared any night of the week as an entrée or a side dish! Disclosure: This recipe is brought to you in partnership with Marie’s®, whose flavorful dressings punch up our everyday salads. I was compensated to create this post. As always, all opinions are my own. Grilled vegetables are just as much an essential in my home as my coveted roasted vegetables, a true testament to the fact that golden-brown, perfectly cooked and crispy vegetables are nothing short of addicting! 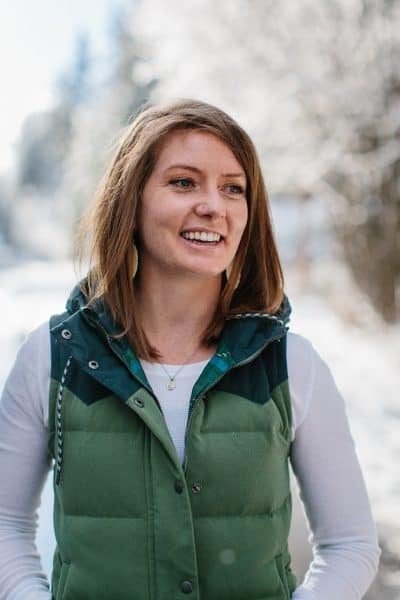 I’ve been known to make a meal out of grilled veggies (hint: see the Grilled Vegetable Avocado Quesadillas, Leftover Grilled Vegetable Omelette, or The Ultimate Grilled Portobello Burger from previous grilling endeavors), as they’re easy to incorporate into virtually any dish, and I find their charred, crispy essence to be irresistible! In our house, grilling may as well be a year-round sport. There’s definitely a little competition to see whose meat turns out with the higher level of perfection, and I’m always ultra-pleased if my grilled plant-based adventure turns out to be the most enticing. Tossing grilled vegetables on a bed of mixed greens with some black beans and a zesty dressing is my idea of the picture-perfect summer weeknight meal. 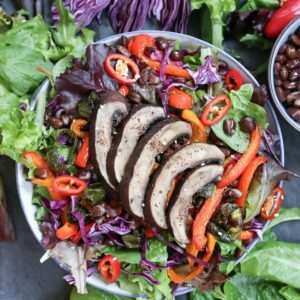 For this salad, I used spring mix, chopped up some romaine hearts, sliced up some red cabbage, and fired up the grill to char up a couple of portobello mushrooms, bell peppers, and a pasilla pepper. It’s kind of a Southwest-meets-Vegetarian Taco Salad affair. Let’s discuss that make-it-or-break-it component to each and every salad: the salad dressing! I used Marie’s® Roasted Tomato with Parmesan & Basil Vinaigrette to tie this whole salad together. The dressing has such amazing flavor between the tangy roasted tomatoes, herby basil, and creamy Parmesan! Not only was it the perfect pairing for this particular salad, but I think it would work marvelously on basically every salad ever. 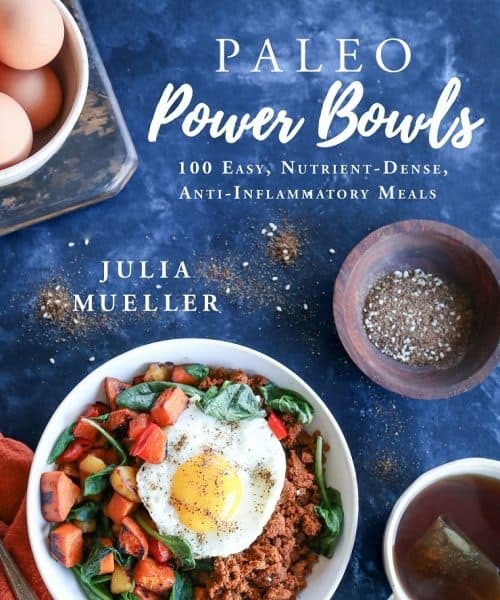 I’d even use it in pasta salads! 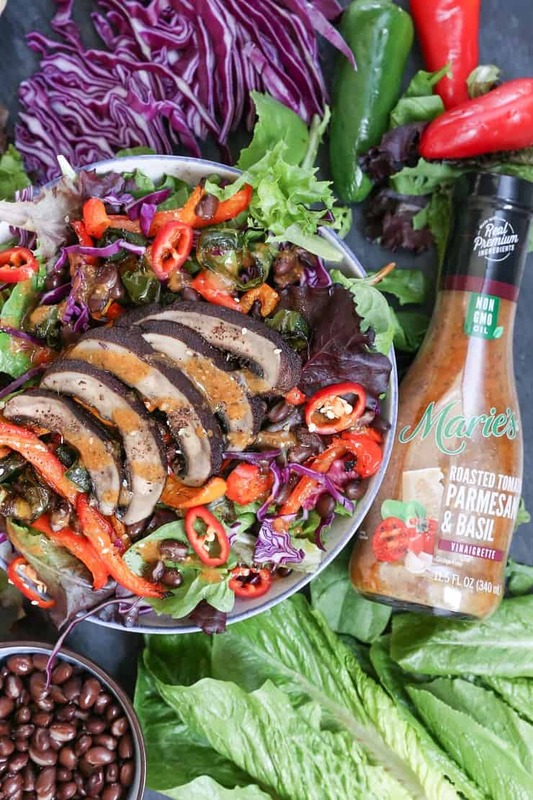 The way I see it, you can still be a phenomenal cook and create some pretty epic salad artistry using Marie’s Dressings. While the boyfriend and I typically make our own salad dressings, we were gushing over Marie’s Dressing. Generally, it takes a lot to impress us when it comes to store-bought dressings and sauces. In this case, we were both instantly hooked. We were even amazed at the scent of the dressing: it’s fresh, aromatic, and inviting. I have every intention of making a mega Cobb Salad using the Roasted Tomato with Parmesan & Basil Vinaigrette. Great news! Now all of Marie’s salad dressings are made with non-GMO oil. I’m anxious to try Marie’s new Garlic Parmesan Italian Vinaigrette. You can stop by the refrigerated area of the produce section of your local grocery store to check out Marie’s 40 flavors of dressings! Or use Marie’s store locator so you don’t have to troubleshoot where you can find a specific flavor. If you want to get super fancy, make a marinade for the mushrooms, as seen in my Balsamic-Ginger Grilled Portobello Mushrooms recipe. Add grilled chicken, steak, or salmon to the salad to boost it with animal protein. Use any of your favorite vegetables that make for easy grilling, such as corn, eggplant, onions, and/or any type of summer squash. Have a favorite Marie’s Dressing that you’d like to use instead? Go for it! 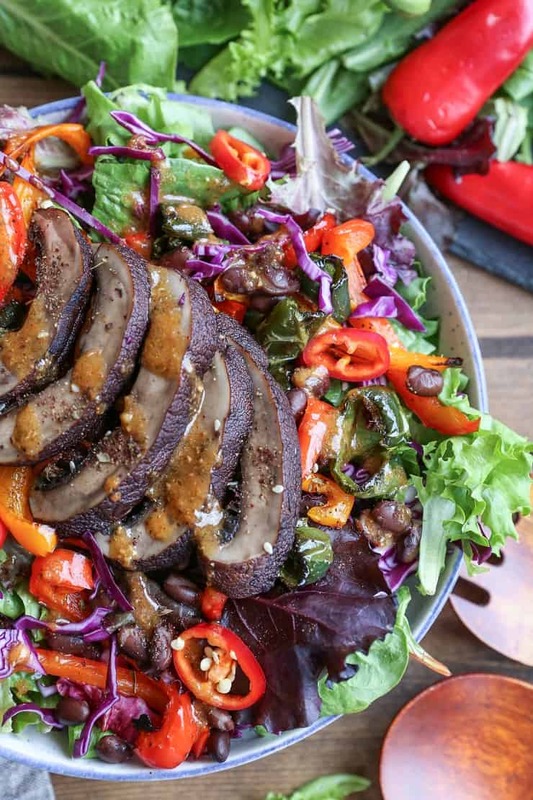 Generously coat the portobello mushrooms, bell peppers, and pasilla pepper with olive oil, and sprinkle with sea salt. Place vegetables on the preheated grill and cover. Cook bell peppers and pasilla pepper 3 to 8 minutes per side. Cook portobello mushrooms 5 to 8 minutes per side, or until veggies show deep grill marks and have reached desired doneness. Transfer vegetables to a cutting board and allow them to cool. Once cool enough to handle, slice the peppers and mushrooms. Add the spring greens mix, romaine hearts, and cabbage to a large salad bowl. Toss in desired amount of Marie’s Roasted Tomato with Parmesan & Basil Vinaigrette (about 3 to 4 tablespoons) and toss until well-coated. 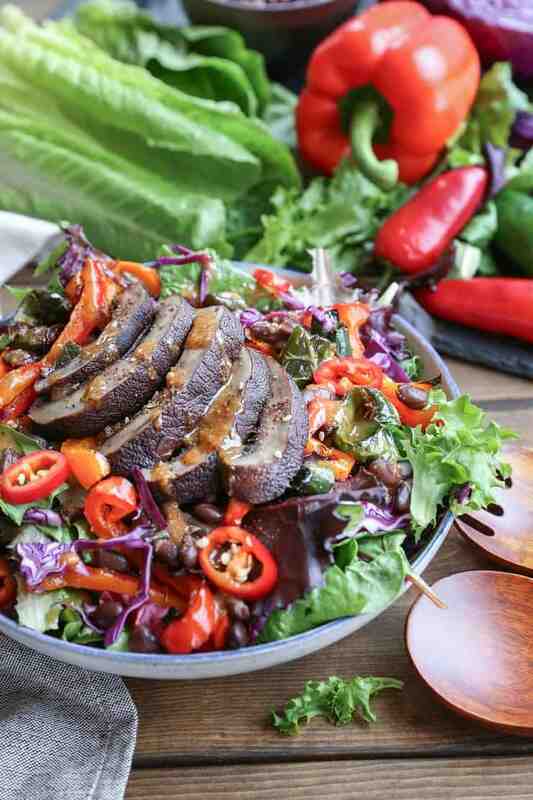 Serve salad with grilled vegetables and black beans on top. 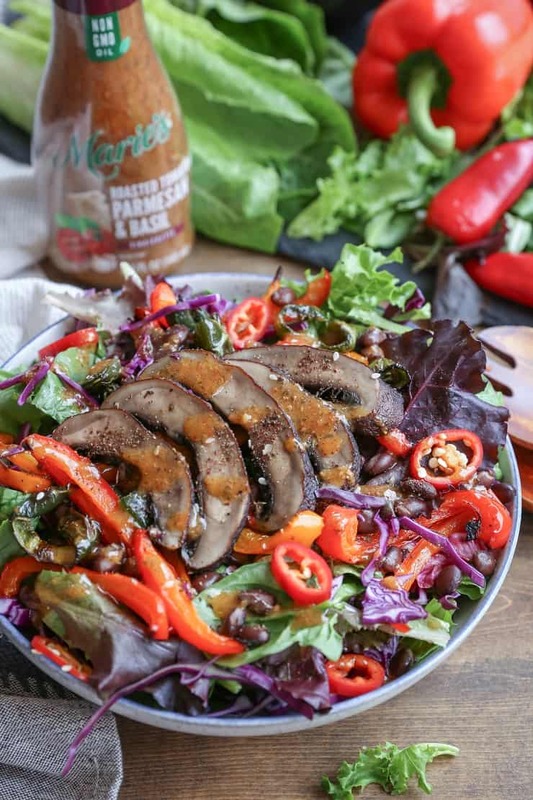 You totally had me at grilled portobello mushroom! The rest of this salad looks equally amazing and Marie’s dressing sounds like the perfect topper! Oh yes, I love me some grilled vegetables too, especially shrooms. They are my absolute favorite! I could eat this gorgeous colorful salad every day and that dressing sounds scrumptious too. Roasted tomato and basil is perfect for summer! Yeeees mushrooms are ALLTHEFUN! And I’m super into the dressing, no lie! Let me know if you try it!